Making a charitable contribution to a nonprofit organization to help the unfortunate and needy is a very generous thing to do. But how much of your hard-earned money actually goes to the needy, and how much is used to provide the organization's executives with a lavish lifestyles? It's very foolish to sacrifice your hard earned money to pay for some executive's luxury cars and mansions. Don't donate to an organization who's executive compensation is hundreds of thousands, even millions of dollars more than you earn. Charity Watch exposes nonprofit abuses and advocates for your interests as a donor. 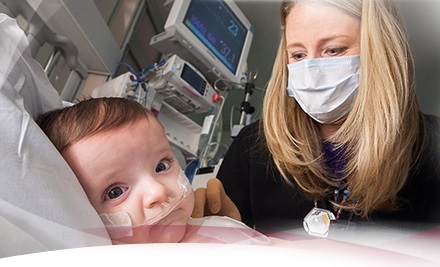 The mission of St. Jude Children's Research Hospital is to find cures and means of prevention for childhood catastrophic diseases through research and treatment. Consistent with the vision of our founder Danny Thomas, no child is denied treatment based on race, religion or a family's ability to pay. St. Jude Children's Research Hospital is leading the way the world understands, treats and defeats childhood cancer and other life-threatening diseases. It is the only National Cancer Institute-designated Comprehensive Cancer Center devoted solely to children. St. Jude Children's Research Hospital is rated 3 of 4 stars by Charity Navigator.